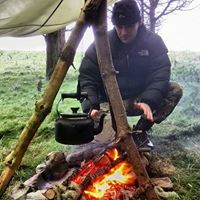 This is going to be a exciting day run by South West Survival. The children will learn some survival, bushcraft and wilderness and navigation skills. 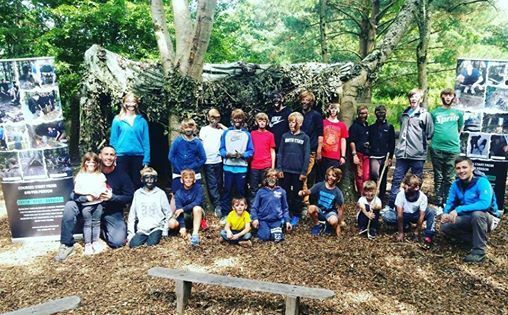 There will be loads of military style outdoor activities to keep you entertained throughout the day finishing off with a man hunt (Camouflage and Concealment). We will start the day with team building activities, then shown how to make a shelter using a poncho and what is available from the woods. Next comes fire lighting, one the most exciting parts of the day. You will be practicing various fire lighting techniques, such as using electricity, flint and steel and bow saw . There will be a quick lesson in navigation and then we will do the bush tucker trial for your lunch, eating big insects! After lunch, we will be doing military style activities cam and con, a man hunt. The children will need suitable clothing, water and and packed lunch. I Love Amp @ Kitty O’Hanlons - Bank Holiday Outdoor Event.